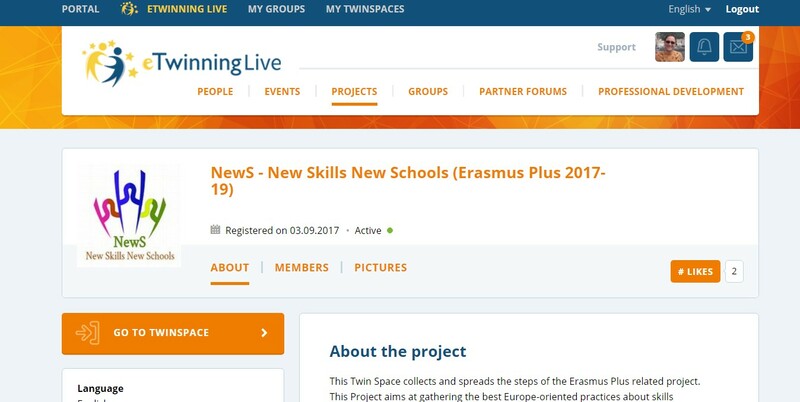 At the meeting held on September 19, 2017, teachers were introduced with the ERASMUS + program (KA2) Strategic Partnership project "New S: New Skills New Schools" - Common Standards and Skills in Education. In the meeting the project topic and countries involved in the project were presented. We have created a working group who will work on the project. The working group consists of principal Ona Šalkauskiene, Deputy Director for Education Daiva Mencleriene, Ingrida Lekstutienė English Language teacher. Daiva Buknienė English language teacher, Lina Stasiulienė methodologist of primary school teacher, Alma Maskolaitienė teacher of mathematics, information technology. Teachers were interested on topic about water. Some teachers will have lessons about water. Soon the project will be presented to the local community. We will include parents, senior club. 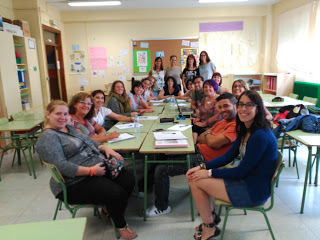 We had our first official Erasmus meeting when most of the teaching staff had been posistioned in our school on Monday, September 18th. 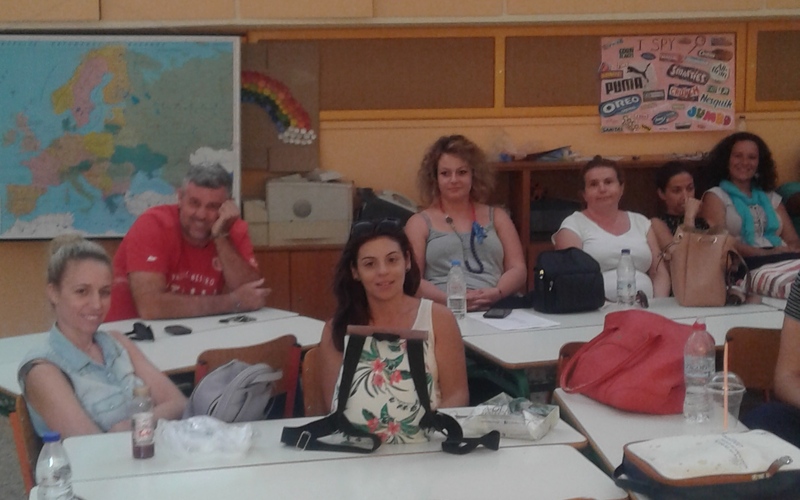 During this meeting, the project aims and objectives were presented by the coordinator, we clarified a few points concerning the programme and we asked for volunteers,mainly teachers of year 4 and 5 (9- and 10-year-olds), to work on the teaching unit that will be chosen. The idea intrigued a lot of colleagues and we finally decided that there will be six teachers to work on the project this school year. There was wide consensus on “Water” as our most preferred topic as we did intend to have an environmental project this trimester and we thought it would be nice to incorporate "Water" in it. However, we are open to suggestions of other topics that the majority of participant countries may opt for. The chosen topic will be approached by the classroom laguage teachers and by the teachers who specialize on Theatre and Music. 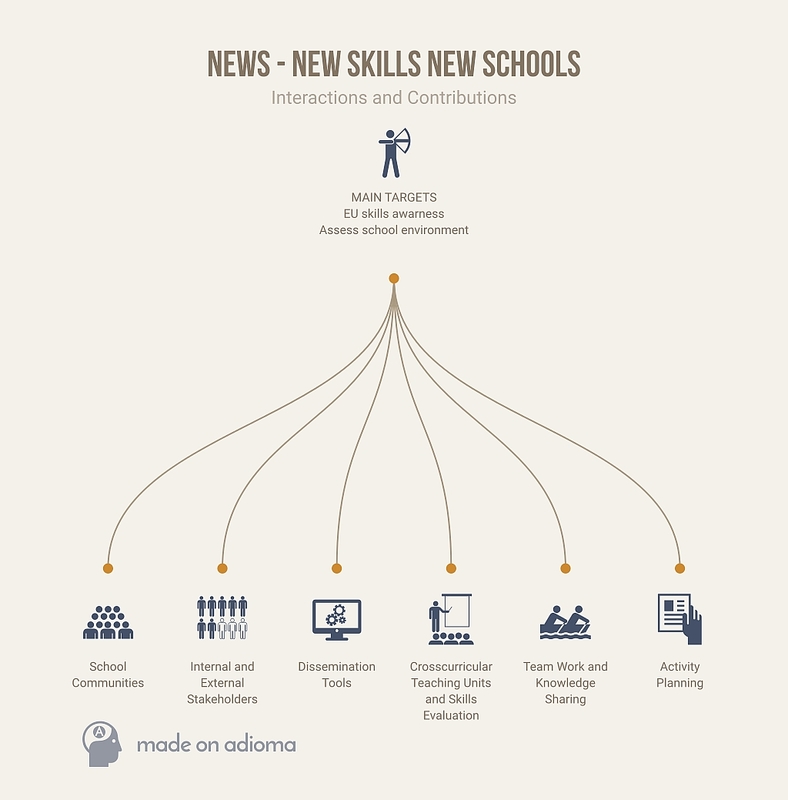 Unfortunately, the school does not have an ICT or an Arts teacher yet but we hope they will be hired soon! Our English teacher had lots of ideas about integrating the themeof Water in her lessons. We also planned a school outing to an environmental centre for students to take part in hands-on tasks. We loved Spain’s idea of drafting templates for mini surveys on the differences in our educational systems and one of the teachers has resumed responsibility for putting together a descriprion of the Greek system. Finally we decided on ways to involve the local community in the project. Soon, an official presentation of the project will be given to the Parents Association Board and information on the activities will be regularly shared on the school website and the social media. o A brief summary about the project. o Some important facts about each school. o Topics that we should prepare for the project. o We decided that this year all the school is going to work some aspects about each country that appear in the project. All the teacher’s team were in the meeting. Vanessa and I explained a power point presentation and Reme (the head of studies) clarified some doubts about the project. The feelings were quite good and a big part of the teachers seemed to be interested on the project. Looking forward to have the next one on the 15 th September. 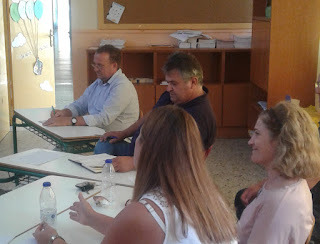 The meeting came at 13 p.m. with the part of the faculty who are helping to start the project. First of all, the coordinators set out the general of work from this moment. Thus, after brainstorming with lots of creative ideas, we all worked out a quite realistic project. We decided plenty of topics. • Musical education: rain-sticks and making sound with water. • Natural science: water cycle and mixtures. • Kindergarten: states and qualities of water. • Values education: the emergence of a water-saving culture. In this context, subject envisaged several options and other interesting topics for the new project: the universe, the human body, international food, but we do not specify issues. Our school is immersed in a comprehensive health project so this issue, we also found it interesting. For this reason, feeding, knowledge of the body, emotions, exercise, physical education, personal hygiene, breathing and relaxation could be interesting issues. Apart from this, from our point of view, we found it interesting to share various questions with other countries and schools. For example, template exchange about educational system of the different countries of the project. What time do they come in, types of corners in early childhood education. Advantages and disadvantages about Spanish or another language as a third language. As you know, our centre is preferred for students with autism and our centre schools about 40 students with special educational needs with other disabilities and abilities. 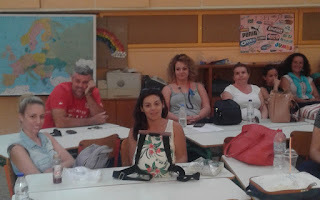 We have two teachers of hearing and language and two teachers of therapeutic pedagogy, so we would like to know how they treat diversity in different countries and how we could do it.